Head to the Grand Place of Brussels, the central square to see something quite unique and fascinating – a beautifully woven carpet of flowers 77m x 24m big! 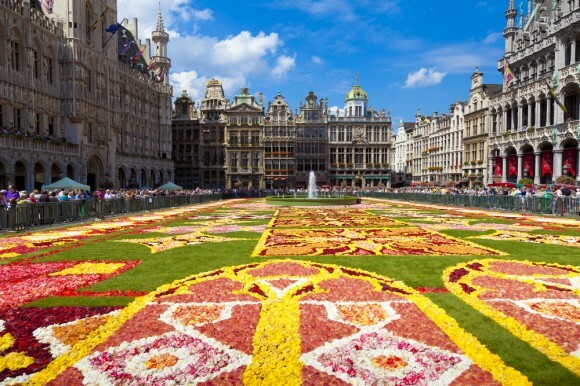 Brussels hosts the “Flower Carpet” every two years, an event in which the city square is covered with a tapestry of vividly colored begonias. The Flower Carpet is held one weekend every two years with the 2018 event taking place from Thursday August 16th to Sunday 19th. 2014’s carpet resembled the famous Turkey kilims (Persian carpets) in dedication to 50 years of Turkish migration to Belgium. Other dedications have included Africa, European Union, 18th century French patterns, Art Nouveau and more. You can have a panoramic view the superb floral creation from City Hall. And of course, access to the popular Grand Place is free! In 1971 Brussels’ first official flower carpet in its present form was created by the landscape architect E. Stautemans, who was inspired by other carpets created in the city. He first experimented making smaller carpets with begonias in the early 1950’s. Stautemans found it economically and aesthetically beneficial to work with this specific flower. Begonias are robust, resistant to bad weather and strong sunlight and they come in a wide range of vivid colors as well as soft pastel shades. Because of his innovativeness and imagination, he became an expert in creating magnificent floral carpets with such sophistication and complicated designs. Since then he created the larger scaled carpet flowers in various other cities in Belgium as well as worldwide (including in Germany, Luxemburg, Paris, London, The Hague, Buenos Aires and Columbus, Ohio to name a few). The creation of the floral tapestry is planned one year in advance in several stages with scale models to the illustration of a commissioned theme. The number of flowers and color combination are calculated and the outlines are drawn on the ground. 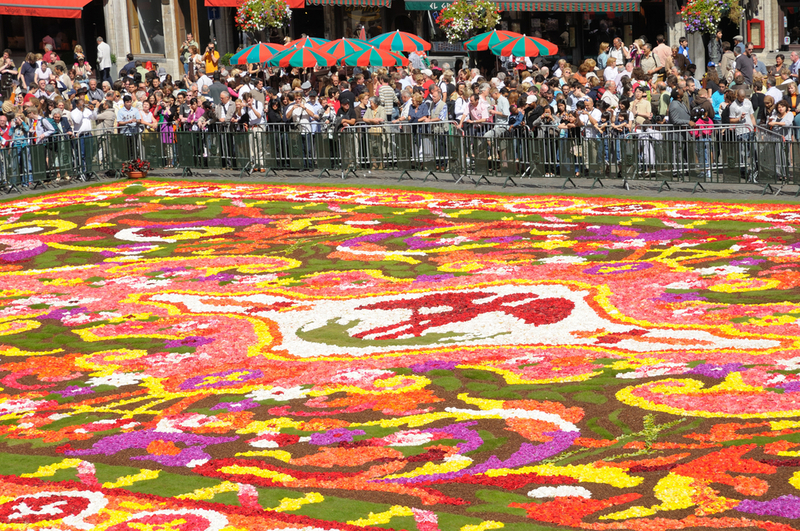 Then over one hundred experienced gardeners use approximately one million begonias to compose this giant carpet flower within four hours. 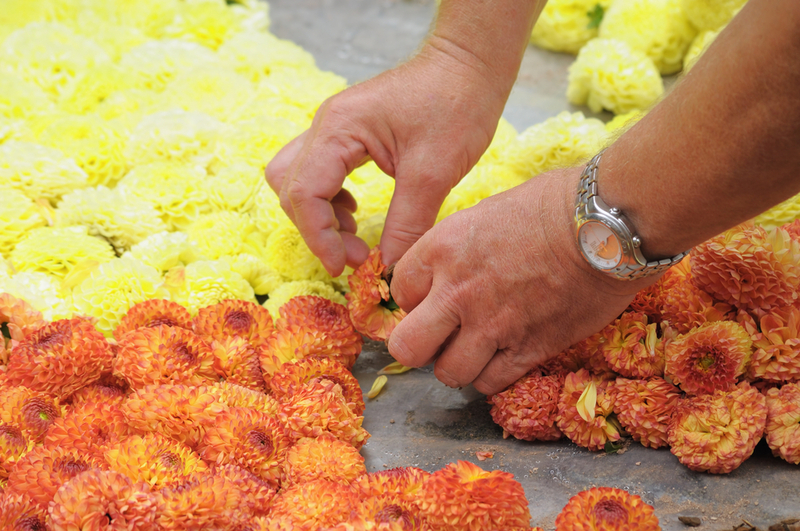 This year’s schedule begins on Thursday, August 14 at noon with one hundred florists bringing in the first flowers. On Friday from 9 a.m. to 11 p.m. spectators can panoramically view the carpet from the balcony of the City Hall. To add to the awe of the event, a sound and light show will take place at 10 p.m., 10:30 p.m. and 11 p.m. The Flower Carpet takes place in the center square Grand Place in Brussels. This incredible event can easily be reached by car or train. Brussels is just over three and half hours northwest of Wiesbaden via the A3 and E40; approximately three and half hours also northwest of Kaiserslautern via E40; and just under six hours northwest of Stuttgart via A6. 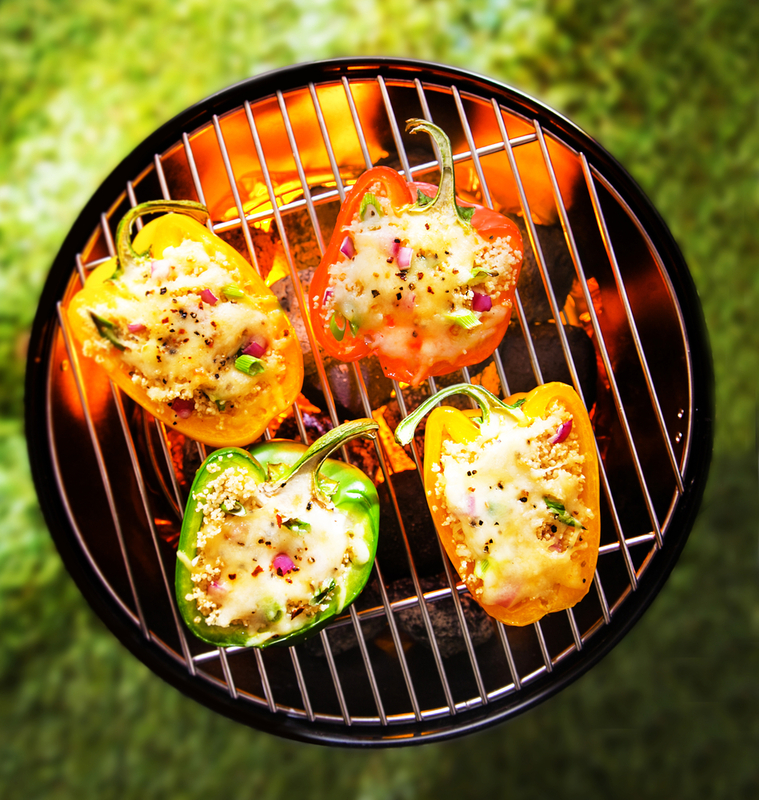 You can also sit back, relax and let Deutsche Bahn take you there!